There’s nothing we love more during the festive season than a delicious meal with our loved ones. As a massive dining city, Hong Kong always has so much. So to help you, we’ve compiled a list of all the seasonal fare on offer from some of the best dining spots in the city. There are options to suit all price ranges, whether you’re thinking of a budget banquet or something more extravagant this year. Consider this our Christmas gift to you. Go and make more memories before the year ends! The magic of Christmas in perfectly encapsulated at Junon. From the romantic ambiance celebrating Hong Kong’s fomer golden era of music and cuisine, this place blends dining and entertainment. It is led by former Three-Michelin starred Chef BrunoMénard and is his first foray into the Hong Kong culinary scene. Inspired by the unique concept of combining live musical performances with fine-dining cuisine, Chef Bruno crafts seasonal menus for Junon sourced with premium quality, fresh ingredients from Hong Kong and around the world. The divine dishes can be described as neoclassic, with a French-style base that is constantly brought to the next level with new cooking techniques and ingredients. With a wealth of experience of cooking in Asia, Chef Bruno possesses a deep understanding of Asian cuisine and at Junon, he infuses hints of these intricate flavors into the restaurant’s European-style dishes. Inject a fusion of Japanese and French elegance into your holiday at à nu. This month, in celebration of white truffle season, you’ll be able to have the precious pieces of truffle shaved over carefully curated dishes. Taking you on a culinary journey, the restaurant presents specially-designed dishes from their premium menu, beginning at HKD $1,580. Diners at à nu will also have the unique opportunity to choose their own truffles. The menu can be enjoyed until December 15 depending on the availability of truffles. 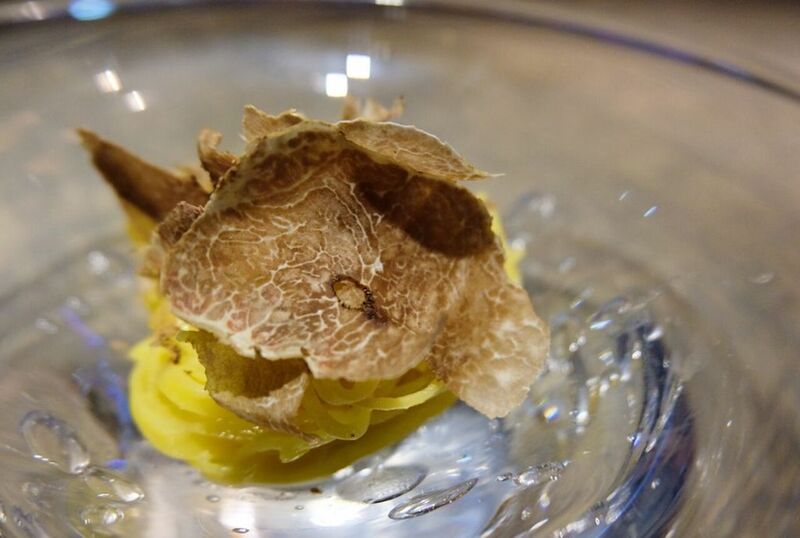 You can opt to select a whole white truffle to be served and enjoyed at a price of HKD $60/g. This is not your ordinary food joint. Quan Alley is the first overseas branch from a renowned hot pot chain from Taiwan that has taken the world by storm. 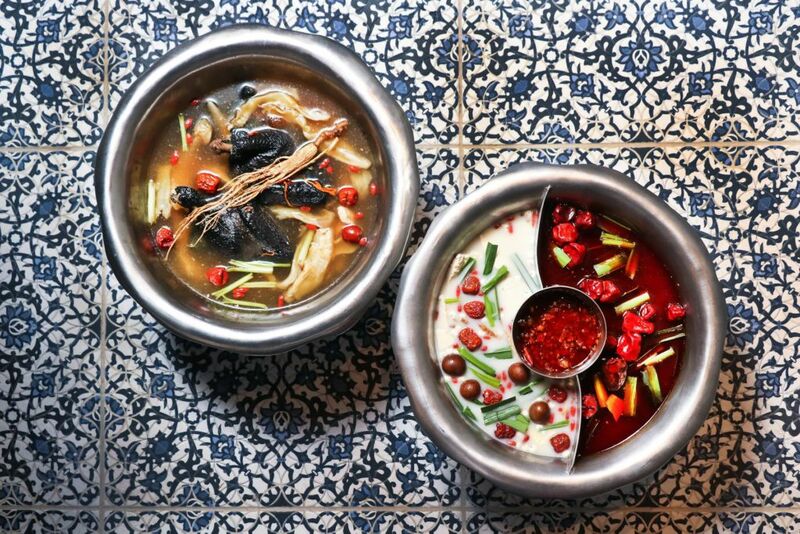 A unique hot pot experience awaits at this dining destination where they have transformed eating with cooked broth into a culinary art form through an emphasis on visuals and aesthetics in addition to Taiwanese flavors. Indulge in the meticulously prepared artisan hot pot items, such as pork rose, lollipop, ice pops and more. Quan Alley has brought their signature taste bud shocker hotpot soup base, Crimson Pit, which is known for its layered flavors that elicit hotness from an initial numbness. You’ll also be amazed by the unusual design of the pot which illuminates the table by projecting beams of light from the burner flames onto the table, which creates an artistic ambiance for a holistic quality dining experience. The setting is gorgeous, intimate and it is a lovely location for a winter meal with the family and loved ones. Tokyo’s exclusive members-only Wagyu beef restaurant launches its first international branch in Hong Kong. Tucked away in Oi Kwan Road in Wan Chai, Wagyumafia will welcome up to 18 diners to experience an omakase menu specializing in Japan’s most renowned beef. If you fancy taking your special someone for a treat then start booking now. The bespoke Hong Kong tasting menu will present pedigreed wagyu and Kobe beef sourced from select Japanese farmers. It will also include Wagyumafia’s world-famous cutlet sandwich. Many reviews describe the experience as “the most complete sensory experience in a food you can get,” and it’s your turn to judge it. 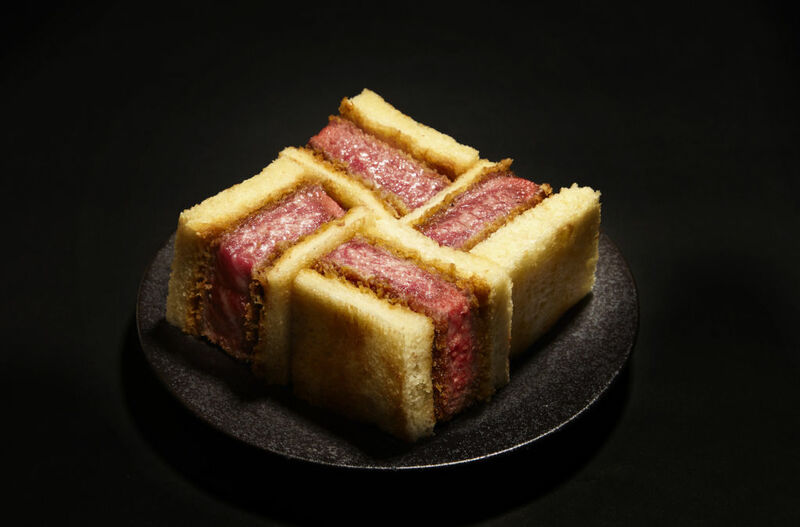 The ingenious sandwich crosses haute cuisine with casual street food. Comprising an extravagantly thick, panko-fried Chateaubriand cut, it is set between lightly toasted Japanese milk bread and complemented with special house-made sauce, a must-try and worthy addition to your dining bucket list. If you still haven’t finished shopping for your Christmas gifts, we feel you. 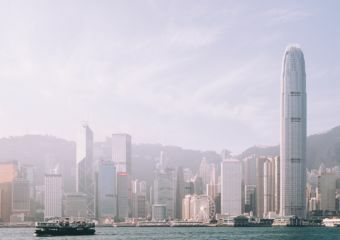 After a long day of trawling the mall and running errands this busy season, we recommend a visit to the happiest place in Hong Kong (not Disneyland). 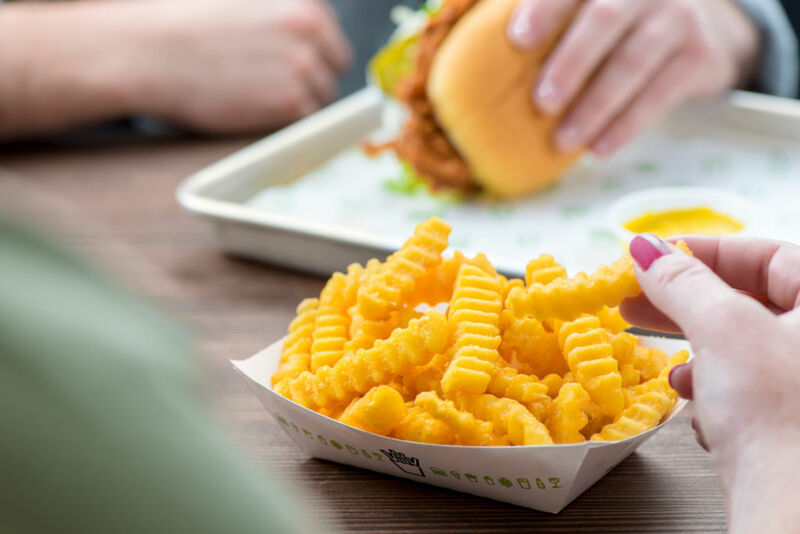 Visit the new Shake Shack outlet at Pacific place where all the legendary feel-good burgers can be found. Indulge in Shake Shack’s holiday shakes as well as the famous Angus beef burger and chicken sandwiches. We love their Christmas Cookie made of sugar cookie frozen custard topped with whipped cream, crumbled shortbread and red and green sprinkles, plus hazelnut made of vanilla and chocolate frozen custard blended with chocolate hazelnut spread, topped with whipped cream, toasted hazelnuts, and chocolate sprinkles. It’s available only this holiday season so make sure to try it. Wondering where to celebrate your Christmas party? The Perrier-Jouët Champagne afternoon tea at Conrad Hong Kong is the perfect answer to all your worries. Between all the chaos of holiday planning and gift hunting, hanging out at this elegant location is going to be the best thing you’ll ever do this season. The afternoon tea set carries a diverse array of dishes made with deluxe ingredients resonant with the festive atmosphere. It is available from December 2018 to 6 January 2019. 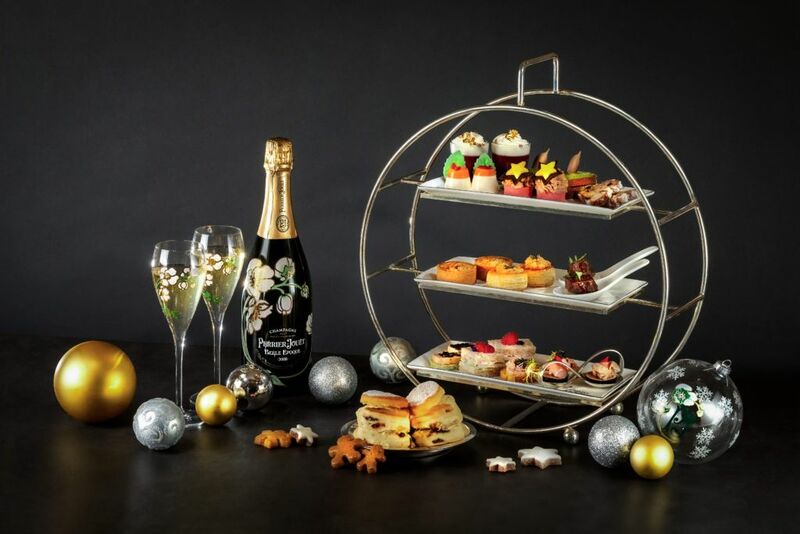 For a memorable bubbly afternoon tea, guests can indulge with Perrier-Jouët Grand Brut Champagne served in its signature flute glass for HKD $68. It is available at HKD $538 for two people and HKD $318 for an individual serving, the festive afternoon tea set comes with a cup of coffee or tea for each diner. Hong Kong’s food and wine connoisseurs are in for a treat at Sevva. 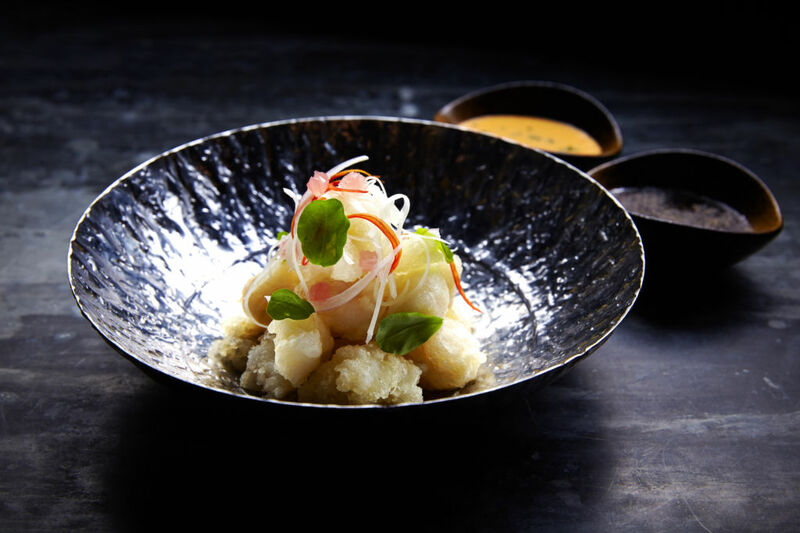 Starting from December 5 to 25, indulge in creative delicacies as well as a tasting menu paired with Cloudy Bay in collaboration with Chef Chase Kojima from Sokyo at The Star Sydney. 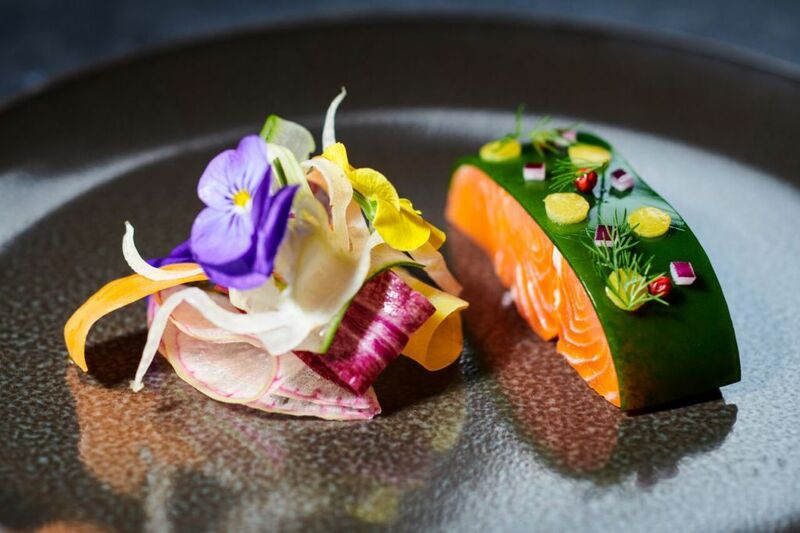 Chef Chase is renowned for his extensive knowledge of seafood and strong connection with the sea from his upbringing in Hokkaido, Japan; whilst Cloudy Bay as New Zealand’s most recognized winery is popular for its aromatic, elegant and vibrant Sauvignon Blanc. Enjoy an unforgettable gastronomic experience at Sevva by having a five-course Tasting Menu prepared by Chef Chase at HKD $2,000, with an option to add four wines, including Ruinart Blanc de Blancs and three Cloudy Bay wines matching to their experience for HKD $600.